On the day the Governor was to visit the NYSC camp, Idris wore the second crested vest he bought at the camp, from Mammy Market. He always paid attention; to himself, his dressing and everything else. Maybe that was why he was selected from the 1,678 Batch B corps members to lead the parade for Governor Daniel. But Idris was exhausted today, from hours of standing in the sun, leading this entire parade in rehearsals, waiting for his Excellency’s arrival. His mind began to drift. Idris and his friends had arrived the NYSC orientation camp on the second day of registration. The journey from Zaria had taken longer than they anticipated. Habiba and Kazeem had slept through most parts of the journey apart from the times they stopped to eat, but he had kept his eyes open to gaze at the abundance of land across the many states they had gone through to get to Ogun State. He had never travelled to the south-west before and so a blend of excitement and curiosity had enveloped him. Because he was the only one awake in the Peugeot Station wagon, he was the only one who knew that the driver missed his way to the camp a few times when they got to Sagamu town. He had asked a woman who sold roast plantain at the road side for direction before making a u-turn. He was also the only one who knew when the driver stopped to urinate along the road. He knew how to stay alert when he needed to. At the entrance of the camp, their bags were searched. They were asked to label their cutleries and submit them as forks and knives were not allowed into the camp. Only spoons would be needed. Idris and Kazeem had only one bag each; Habiba had three, a bucket and a pillow. “Women and their load,” one of the officials muttered as he searched her bag. He removed a pressing iron and a boiling ring. “I need that…haba!” Habiba voiced, looking deprived. “It is not allowed. You will get it back when you are leaving, just write your name on it”. He gave her a masking tape and a pen. “Na wa faa,” Habiba said under her breath and began to pen her name on the tape and stick unto the items. Kazeem kept staring. 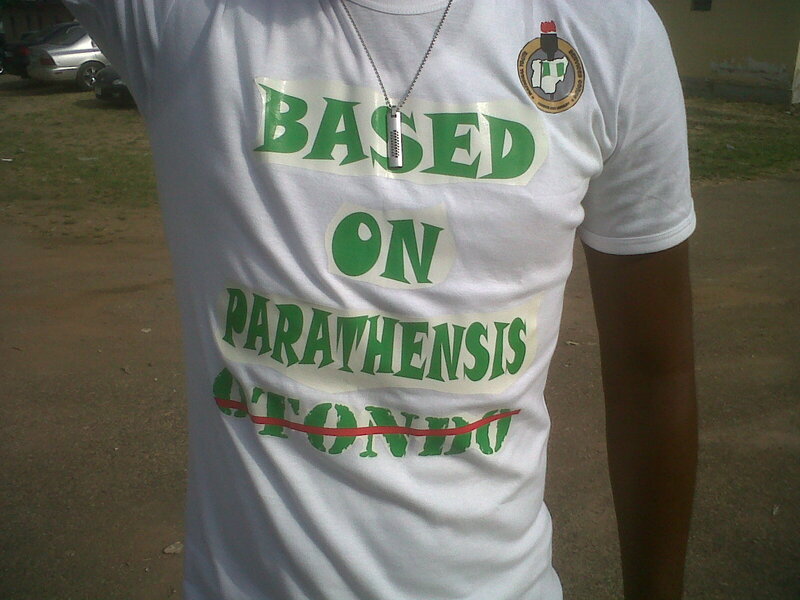 He could see other corps members on white t-shirts and shorts walking around in groups and pairs. “Go towards that block, there is a registration point there,” the official pointed as other corps members began to arrive. Idris remembered Zainab, just before he heard a shout. Idris finally heard the RSM call out to him on the parade ground, he was also approaching him furiously. He had been trying to get Idris’s attention to start the final rehearsal for a while but he was too deep in thought. He quickly stood at attention just as the soldier screeched to a halt beside him. “You dey for parade ground dey think of ya girlfriend? !” he screamed his query at Idris. “Sorry sir!” The surprise on his face didn’t match the words he spoke. The corps members kept quiet. Idris took a deep breath. The corps members lifted their feet. I was second quarter guard commander at parade at the end of camp and can therefore TOTALLY relate to this. Loved marching so much, I did it again at POP. Good stuff here. Good stuff.